The luxury automotive brand has named Stuart Schorr to the new role of VP of comms for North America. Schorr will lead the region’s PR and communications teams, including advertising, retail marketing, and digital marketing. 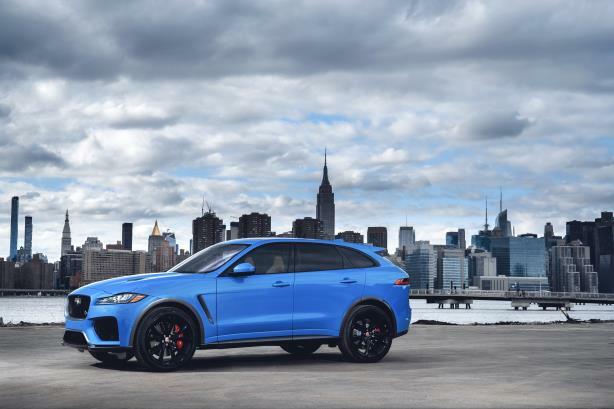 He will report to Joe Eberhardt, president and CEO of Jaguar Land Rover North America, and Kim McCullough, VP of marketing of Jaguar Land Rover North America. Schorr's appointment was effective on Monday. He has six direct reports, managing corporate and brand, events, and product PR, as well as media strategy, advertising, and digital and social marketing. Schorr most recently served as VP of communications and public affairs, leading the business’ North American comms operation, including corporate, product and brand PR, and internal comms, according to his LinkedIn account. He has also worked at DaimlerChrysler, Chrysler Canada, and Mercedes-Benz U.S.A.
Spark44 is the brand’s global marcomms agency, while Dentsu is its global media agency; Havas Formula is the AOR for U.S. PR. This story was updated on April 10 with additional information.